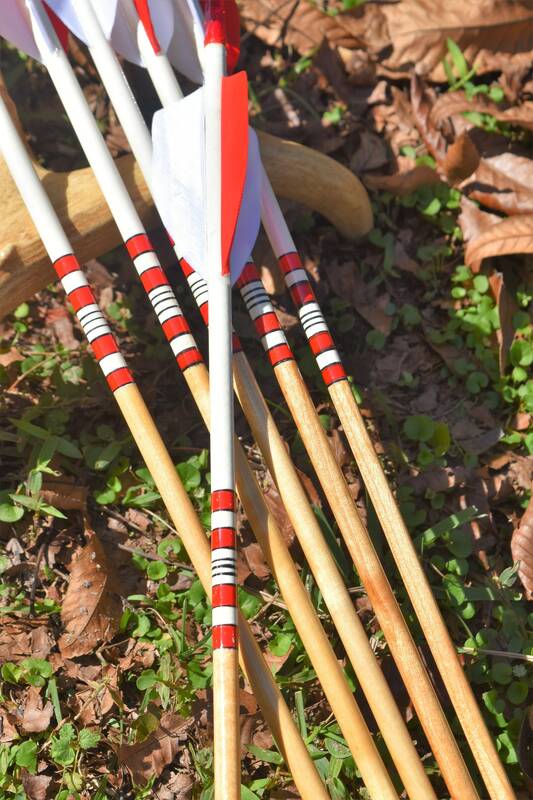 These arrows have a very classic traditional look. 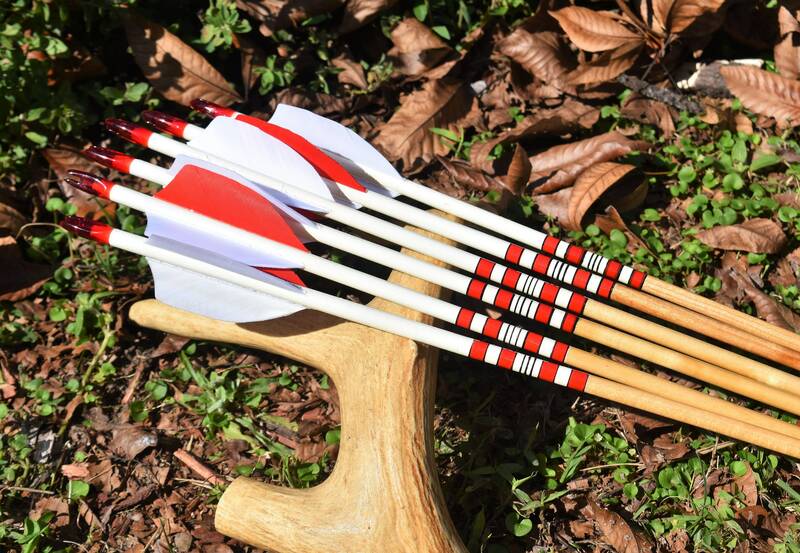 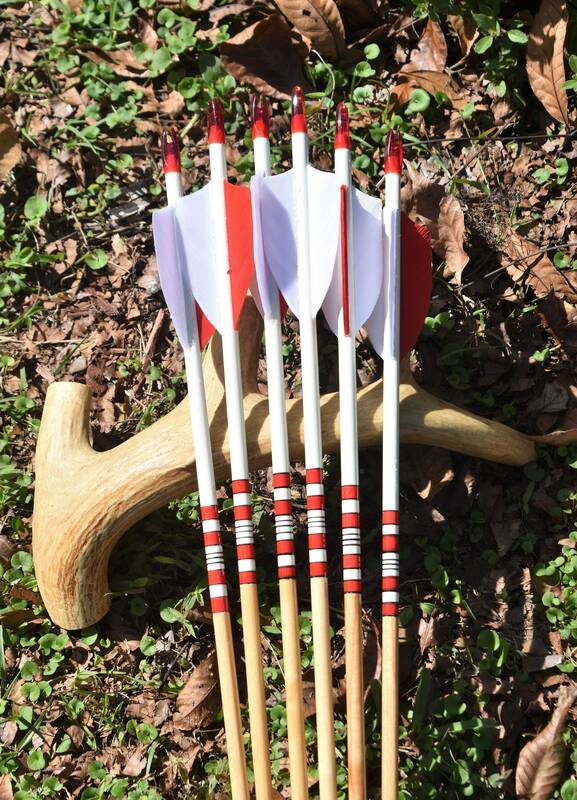 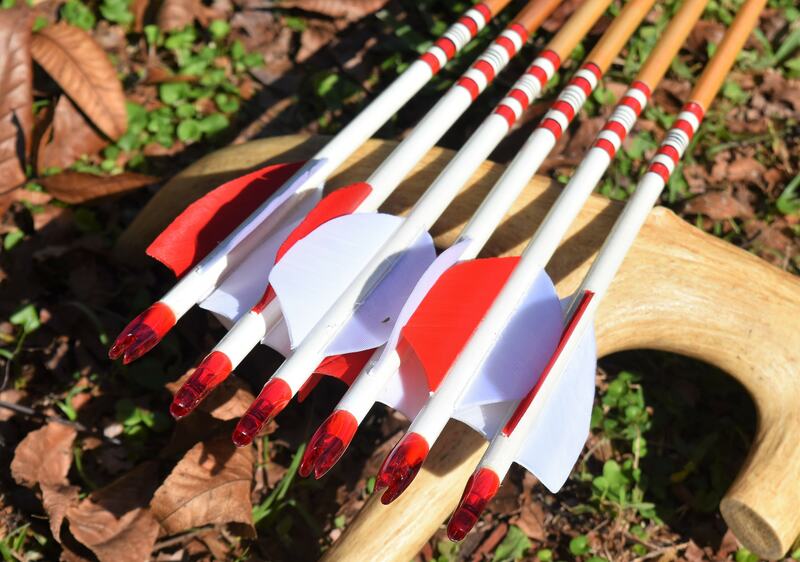 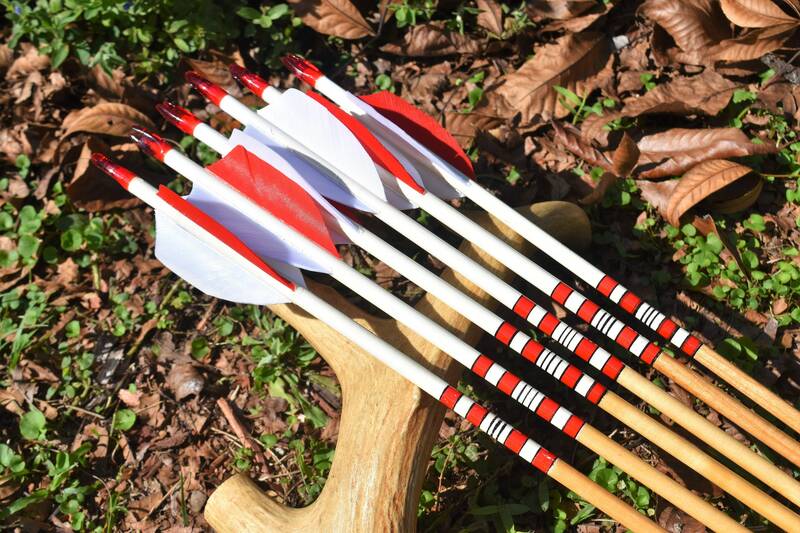 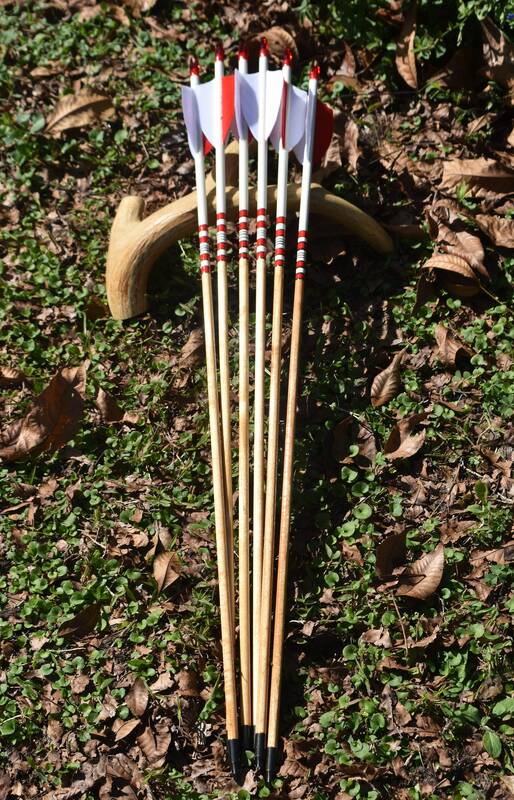 This set of 6 arrows has been left a natural wood at the bottom with a white crown dip and is simply crested with red and black. 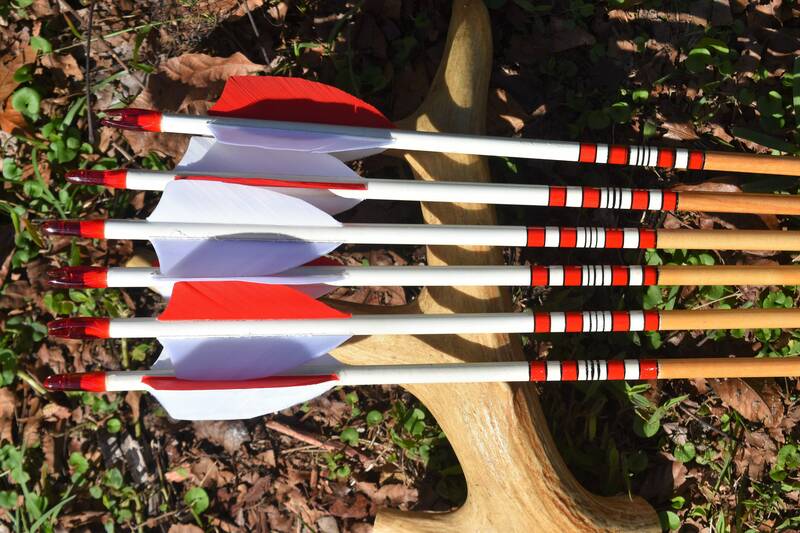 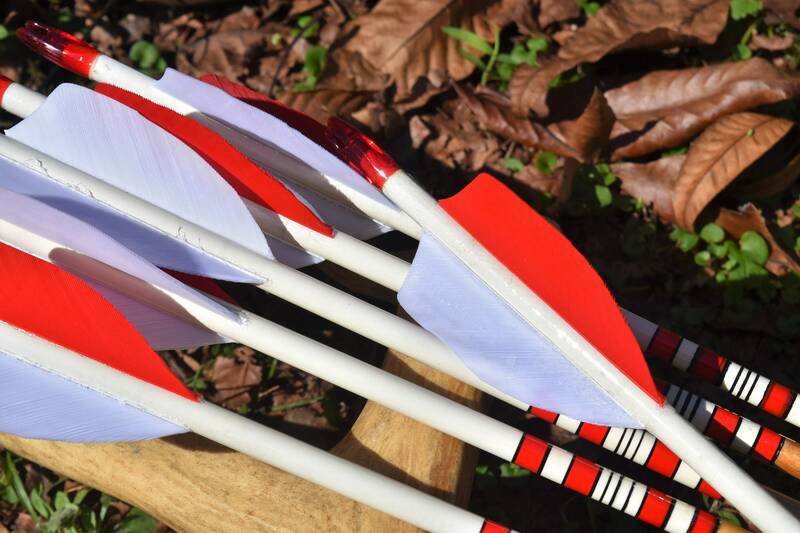 They are fletched with shield cut turkey feathers, two white and one red. 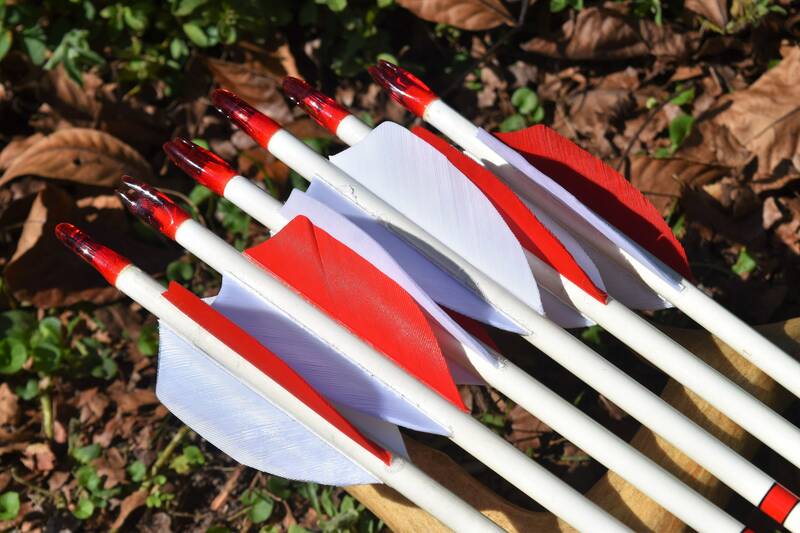 They are then finished off with red nocks and field points.